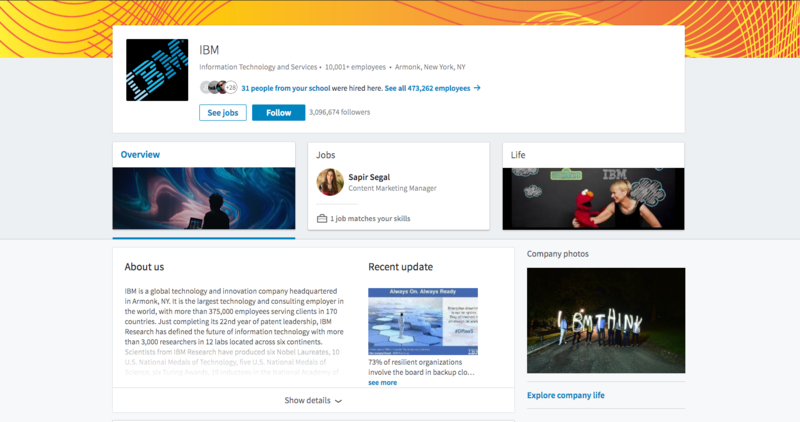 If you thought that your marketing efforts on LinkedIn aren’t translating into meaningful results, then think again, because LinkedIn is bringing you a newly designed Company Page, which will hopefully generate much higher engagement and conversions than your old one. 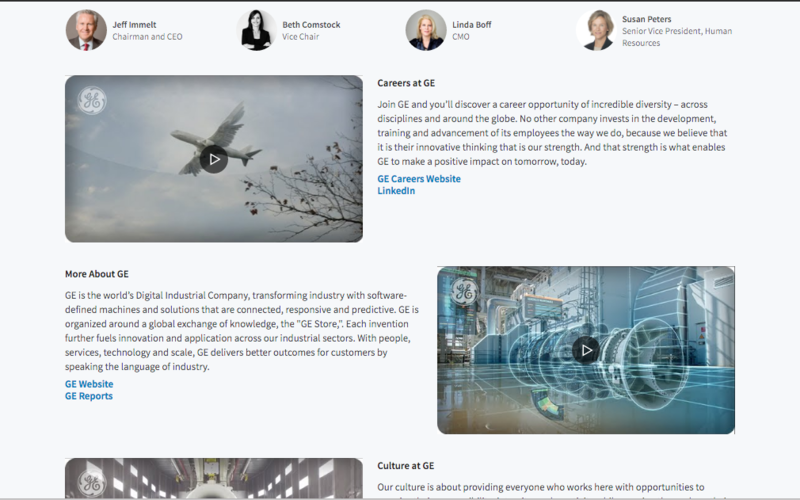 In fact, some of the big players in the field – including GE and IBM – got a head start and are currently testing out their new LinkedIn page in beta mode before it’s being rolled out to every other brand. But instead of looking at this as a disadvantage, consider it an opportunity to properly prepare for the changes and invigorate your strategy. As you can see the general look and feel of the new layout seems simpler and cleaner, with an emphasis on bigger images and less text, making it easier to navigate through. Since LinkedIn is a place for building connections, your cover image should also be updated or redesigned to fit the new measurements – 1536 by 768 pixels. The same goes for your company logo, which should be at least 300 by 300 pixels. Besides your visuals, you can say goodbye to the clutter and hello to the three main content buckets – Overview, Jobs, and Life. Now members can smoothly transition from one category to another, getting to know your brand in a whole new experience. If you click on the ‘Overview’ tab, all of the information about your company – About us, Specialties, Industry, Company Size etc. – has not changed and will automatically transfer from the old design to the new one. Users can still click on the arrow to read more or fewer details about your company – but remember to keep this short and sweet! You may have noticed the new ‘Company Photos’ box on the right-hand side – this allows you to showcase some images that offer prospective customers and employees a quick insight into your company. It’s especially great if you’ve got a vibrant work culture that you’re proud of! In case you have multiple (or any) Showcase Pages, this new layout should be a real winner! Instead of being hidden on the side, the new interface puts a spotlight on the rest of your business areas. From your prospects and clients’ side, this layout makes it easier to get to know your company better, and from your side, it helps you build stronger relationships with them. Next, whether the new presentation of ‘Company Updates’ is better or worse is arguable. Yes, users must be on the Overview tab and scroll down to view all of your posts, however, they are a lot more aesthetically pleasing AND readable. There is no longer a preview of text, so if you’re used to spending time summarizing the content of an article into an engaging description, you no longer have to worry about it. The focus has shifted to bolder images and titles, and your job as a marketer is to ensure they complement each other to tell a coherent story. 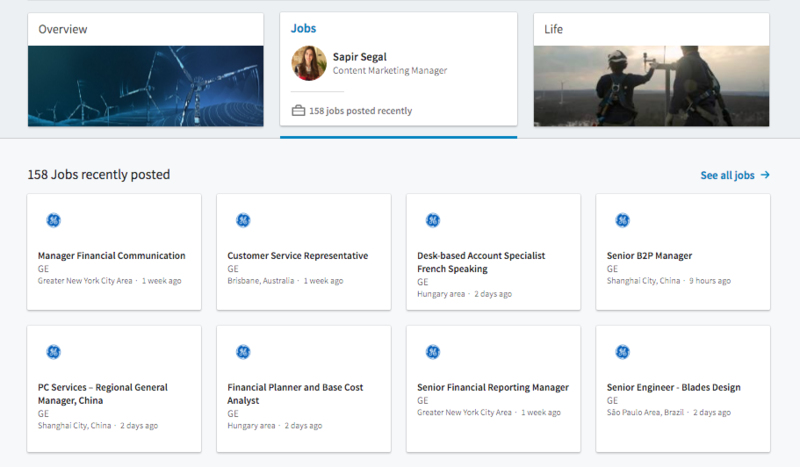 The new ‘Jobs’ tab makes it simpler for you to promote any position openings. At the same time, it makes it faster and easier for job seekers to navigate through and reach the information they need while getting to know multiple aspects of your business from the same interface. A win-win situation! Audiences can also view available positions directly from the top banner rather than going to the ‘Jobs’ section. Building a career today means much more than finding stability, and individuals can quickly Google your brand’s name to discover its values, community, and culture. In this regard, LinkedIn’s unique feature is not only useful, it’s also incredibly interesting! From your employees’ perspectives to cultural insights, and images of fun company activities and gatherings, all of the elements that make up your work culture can be aggregated into one place for transparency. This is a way for you to paint a positive and healthy picture of your organization’s biggest achievements and proudest employee advocates – and for this you need content! 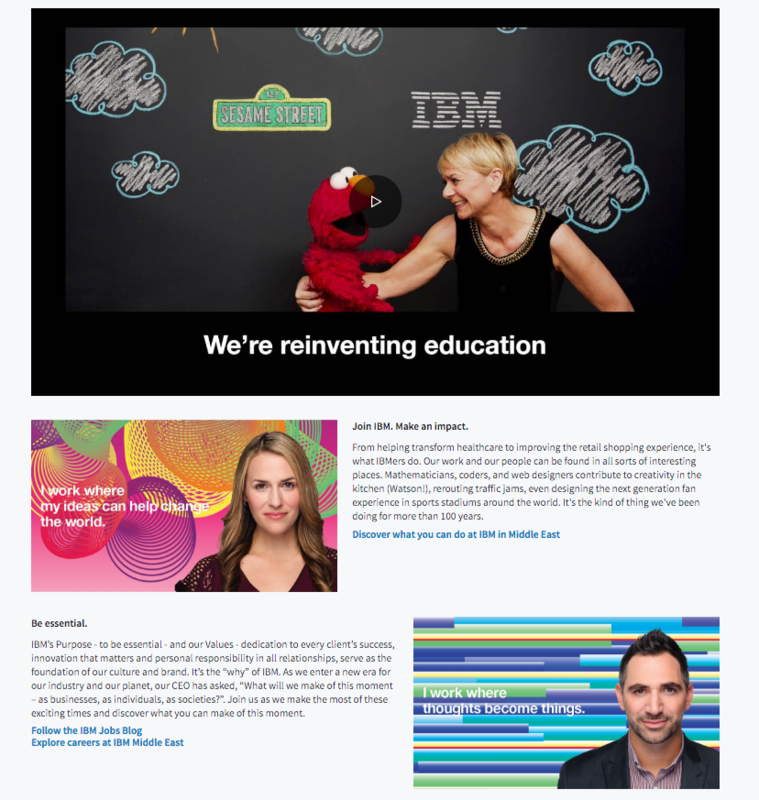 As you can see IBM and GE clearly dedicated a lot of time and effort into personalizing their ‘Life’ section with detailed information about their expertise, values, culture, and more! Not to mention, they combined branded videos and images, making the experience for users a whole lot more valuable and engaging. Perhaps you have experienced frustration with handling your LinkedIn account. Well, in the new Company Page there is a dedicated admin experience that makes it easier to edit content, publish and follow posts, as well as monitor analytics and notifications – all in one place! LinkedIn also highlights another benefit to the modified version – the expanded analytics dashboard. This helps you measure the impact of your content and optimize its performance. However, if you’re a B2B marketer, the vanity metrics that LinkedIn provides such as reach, likes, and followers only paint a partial picture of how LinkedIn impacts your sales funnel. In the end of the day, businesses need to see real results – and measurable ones. By implementing a data-centric social media management platform that caters for B2B marketing, you’ll gain a deeper insight into the engagement and leads generated through LinkedIn and be able to understand exactly which content pieces are driving those results. Can Instagram Really Work for B2B Marketing?